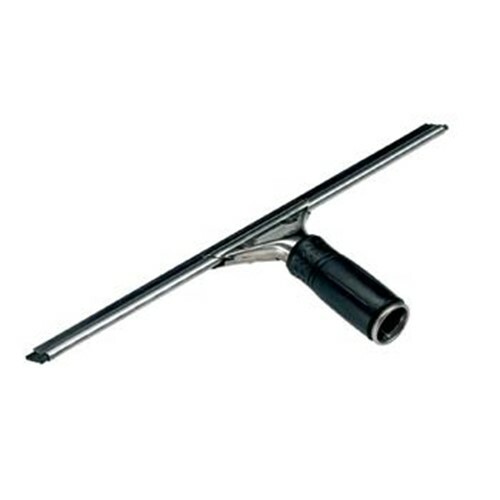 Pro Stainless Steel Window Squeegees, Complete with Handle, Channel and Rubber Blade Fast lock handle with rubber grip, channel and rubber blade. Cleans any flat, smooth surface. Lighter weight yet stronger than brass.